This site is a combination of the old Runout Radio podcast, and the American Billiard Radio podcast that started up after Runout Radio stopped taping new episodes. Runout Radio was put together by Mike Howerton and Jerry Forsyth from AzBilliards and ran 50 episodes from 2007 until 2012. 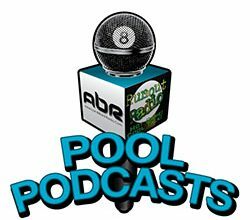 American Billiard Radio was spearheaded by Dave “Mr Bond” Bond, who started in late 2013 and produced almost one episode every week until his untimely passing in late 2017. Regular contributors to American Billiard Radio included Mark Cantrill, Mike Howerton, Alison Fischer and Melinda Bailey. Early contributors included Mary Ann Starkey, Scott Lee and Randy G.
The current incarnation of American Billiard Radio is produced by Mike Howerton with as much help as he can get from various contributors from the past. The current incarnation is hoped to keep Mr Bond’s American Billiard Radio dream alive.